Earlier last month, Romania became the 22nd Member State of the European Organisation for Nuclear Research, or CERN, home to the world’s most powerful atom-smasher. But the hundred Romanian scientists working on experiments there have already operated under a co-operation agreement with CERN for the last 25 years. So why have Romania decided to commit the money and resources needed to become a full member? Is this just bureaucratic reshuffling or the road to a more fruitful collaboration between scientists? On 18th July, Romania became a full member state of CERN. 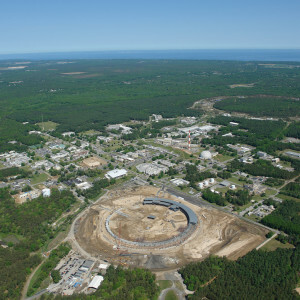 In doing so, it joined twenty one other countries, which over the years have created one of the largest scientific collaborations in the world. Last year, the two largest experimental groups at CERN, ATLAS and CMS, broke the world record for the total number of authors on a research article (detailing the mass of the Higgs Boson). To meet its requirements for becoming a member, Romania has committed $11mil USD towards the CERN budget this year, three times as much as neighbouring member Bulgaria and more than seven times as much as Serbia, which holds Associate Membership, aiming to follow in Romania’s footsteps. In return, Romania now holds a place on CERN’s council, having a say in all the major research decisions of the ground-breaking organization where the forces of nature are probed, antimatter is created and Higgs Bosons discovered. Romania’s accession to the CERN convention marks another milestone in the organisation’s history of international participation over the last sixty years. In that time it has built bridges between the members of nations where diplomacy and international relations were less than favourable, uniting researchers from across the globe towards the goal of understanding the universe on its most fundamental level. The provisional Conseil Européen pour la Recherche Nucléaire (European Council for Nuclear Research) was dissolved and its legacy was carried by the labs built and operated under the convention it had laid and the name it bore: CERN. Several years later in 1959, the British director of the Proton Synchrotron division at CERN, John Adams, received a gift of vodka from Soviet scientist Vladimir Nikitin of the Dubna accelerator, just north of Moscow, and at the time the most powerful accelerator in the world. The vodka was to be opened in the event the Proton Synchrotron accelerator at CERN was successfully operated at an energy greater than Dubna’s maximum capacity: 10 GeV. It more than doubled the feat, reaching 24 GeV, and with the vodka dutifully polished off, the bottle was stuffed with a photo of the proton beam readout and sent back to Moscow. Soviet scientists contributed more than vodka to the international effort in particle physics. Nikitin would later go on to work alongside other soviet and US scientists in a joint effort at Fermilab in 1972. Over the next few decades, ten more member states would join CERN permanently, including Israel, its first non-European member. On top of this, researchers at CERN now join from four associate member nations, four observer states (India, Japan, USA and Russia) and holds a score of cooperation agreements with other non-member states. While certainly the largest collaboration of this kind, CERN is certainly no longer unique in being a collaborative effort in particle physics. Quantum Diaries is host to the blogs of many experiments all of whom comprise of a highly diverse and internationally sourced research cohort. The synchrotron lab for the Middle East, SESAME, expected to begin operation next year, will involve both the Palestinian and Israeli authorities with hopes it “will foster dialogue and better understanding between scientists of all ages with diverse cultural, political and religious backgrounds,”. It was co-ordinated in part, by CERN. I have avoided speaking personally so far, but one needs to address the elephant in the room. As a British scientist, I speak from a nation where the dust is only just settling on the decision to cut ties with the European Union, against the wishes of the vast majority of researchers. Although our membership to CERN will remain secure, other projects and our relationship with european collaborators face uncertainty. While I certainly won’t deign to give my view on the matter of a democratic vote, it is encouraging to take a look back at a fruitful history of unity between nations and celebrate Romania’s new Member State status as a sign that that particle physics community is still, largely an integrated and international one. In the short year that I have been at University College London, I have not yet attended any international conferences, yet have had the pleasure to meet and learn from visiting researchers from all over the globe. As this year’s International Conference on High Energy Physics kicks off this week, (chock-full of 5-σ BSM discovery announcements, no doubt*), there is something comforting in knowing I will be sharing my excitement, frustration and surprise with like-minded graduate students from the world over. Kind regards to Ashwin Chopra and Daniel Quill of University College London for their corrections and contributions, all mistakes are unreservedly my own. *this is, obviously, playful satire, except for the case of an announcement in which case it is prophetic foresight. 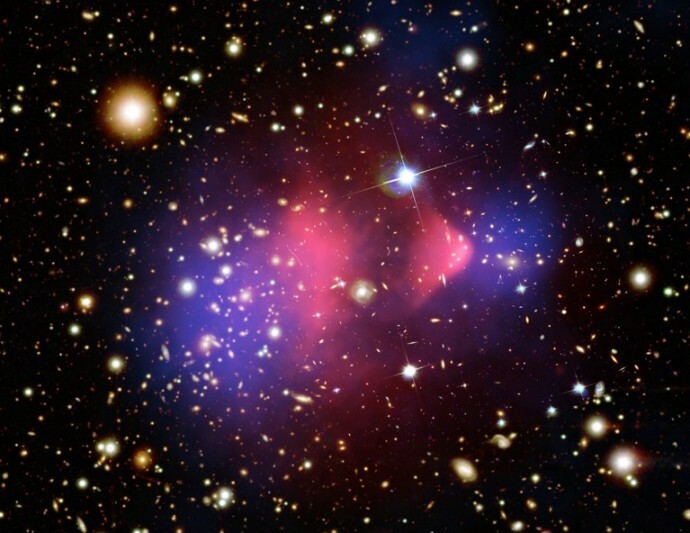 To call the direct detection of dark matter “difficult” is a monumental understatement. To date, we have had no definite, direct detection on Earth of this elusive particle that we suspect should be all around us. This seems somewhat of a paradox when our best astronomical observations indicate that there’s about five times more dark matter in the universe than the ordinary, visible matter that appears to make up the world we see. So what’s the catch? Why is it so tricky to find? The difficulty lies in the fact that dark matter does not interact with light (that is, electromagnetically) or noticeably with atoms as we know them (that is, with the strong force, which holds together atomic nuclei). In fact, the only reason we know it exists is because of how it interacts gravitationally. We see galaxies rotate much faster than they would without the presence of some unseen “dark matter”, amongst other things. 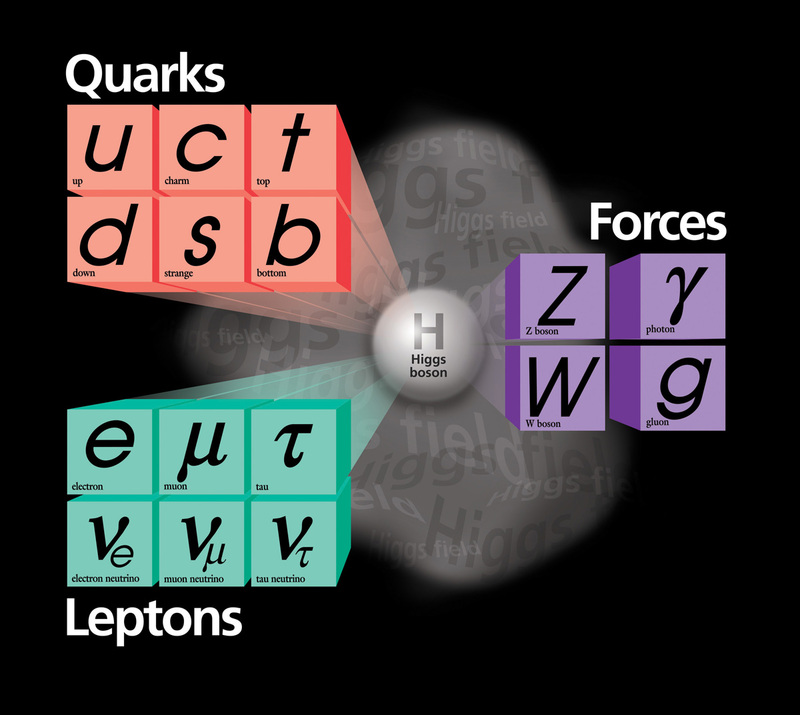 Unfortunately, none of the particles we know from the Standard Model of particle physics are suitable candidates for explaining dark matter of this sort. There are, however, several attempts in the works to try and detect it via weak nuclear interactions on Earth and pin down its nature, such as the recently approved LUX-ZEPLIN experiment, which should be built and collecting data by 2020. Direct detection, however, isn’t the only possible way physicists can get a handle on dark matter. In February 2014, an X-Ray signal at 3.5 keV was detected by the XMM-Newton, an X-ray spectroscopy project by the European Space Agency, in orbit around Earth. Ever since, there’s been buzz amongst particle cosmologists that the signal may be from some kind of dark matter annihilation process. One of the strongest candidates to explain the signal has been sterile neutrino, a hypothetical cousin of the Standard Model neutrino. Neutrinos are ghostly particles that also interact incredibly rarely with ordinary matter* but, thanks to the remarkable work of experimentalists, were detected in the late 1950s. Their exact nature was later probed by two famous experiments, SNO and Super-Kamiokande, that demonstrated that neutrinos do in fact have mass, by observing a phenomenon known as Neutrino Oscillations. As reported on this blog in October, the respective heads of each collaboration were awarded the 2015 Nobel Prize in Physics for their efforts in this field. The hope amongst some physicists is that as well as the neutrinos that have been studied in detectors for the last half a century, there exists a sort of heavier “mirror image” to these particles that could act as a suitable dark matter candidate. 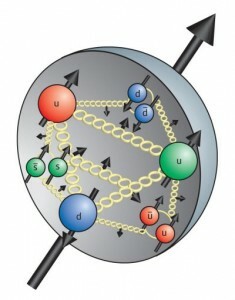 Neutrinos are only found to “spin” in a certain way relative to the axis of their propagation, while the hypothesised sterile neutrinos would spin the opposite way round (in more technical terms, they have opposite chirality). 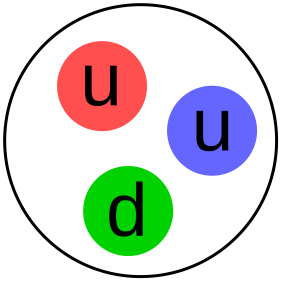 This difference might seem trivial, but in the mathematical structure underpinning the Standard Model, it would fundamentally change how often these new particles interact with known particles. Although predicted to react incredibly rarely with ordinary matter, there are potentially processes that would allow these sterile neutrinos to emit an X-Ray signal, with half the mass-energy of the original particle. Due to the sheer number of them found in dense places such as the centres of galaxies, where XMM-Newton was collecting data from, in principle such a signal would be measurable from regions with a high density of sterile neutrinos. This all seems well and good, but how well does the evidence measure up? Since the announcement of the signal, the literature has gone back and forth on the issue, with the viability of sterile neutrinos as a dark matter candidate being brought into question. It is thought that the gravitational presence of dark matter played a crucial role in the formation of galaxies in the early universe, and the best description we have relies on dark matter being “cold”, i.e. 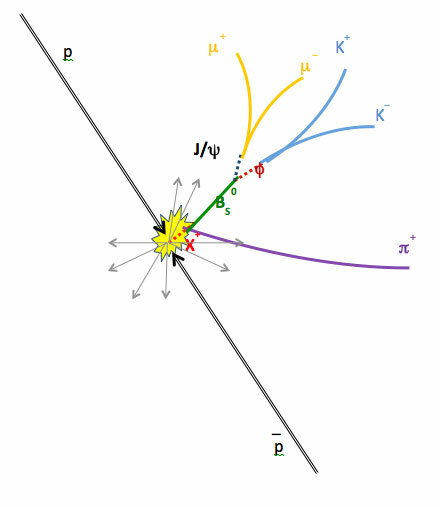 with a velocity dispersion such that the particles don’t whizz around at speeds too close to the speed of light, at which point their kinematic properties are difficult to reconcile with cosmological models. 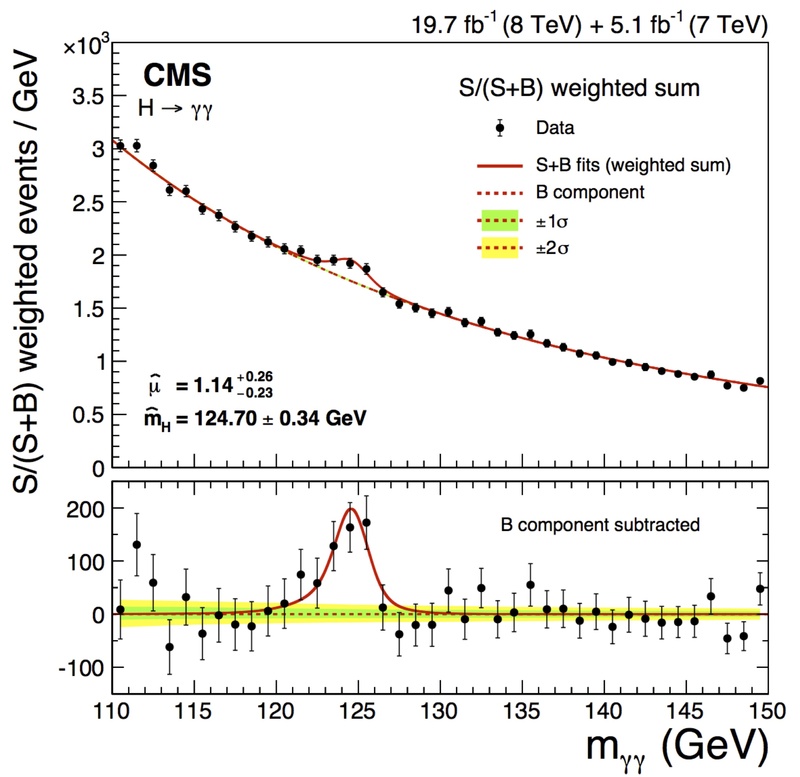 However, neutrinos are notorious for having masses so small they have yet to be directly measured and to explain the signal at 3.5 keV, the relevant sterile neutrino would have to have a relatively small mass of ~7 keV/c2, about 15,000 times lighter than the usual prediction for dark matter at ~100 GeV/c2. This means that under the energy predicted by cosmological models for dark matter production, our sterile neutrinos would have a sort of “luke-warm” characteristic, in which they move around at speeds comparable to but not approaching the speed of light. A further setback has been that the nature of the signal has been called into question, since the resolution of the initial measurements from XMM-Newton (and accompanying X-ray satellite experiments such as Chandra) was not sharp enough to definitively determine the signal’s origin. XMM-Newton built up a profile of X-ray spectra by averaging across measurements from just 73 galaxy clusters, though it will take further measurements to fully rule out the possibility that the signal isn’t from the atomic spectra of potassium and sulpher ions found in hot cosmic plasmas. A recent pre-print to the Monthly Notices of the Royal Astronomical Society (MNRAS) by several leading cosmologists has outlined the compatibility of a 7 keV/c2 sterile neutrino’s involvement with the development of galactic structure. To slow down the sterile neutrinos enough to bring them in line with cosmological observations, “lepton asymmetry” (a breaking of the symmetry between particles and antiparticles) has to be introduced in the model. While this may initially seem like extra theoretical baggage, since lepton asymmetry has yet to be observed, there are theoretical frameworks than can introduce such an asymmetry with the introduction of two much heavier sterile neutrinos at the GeV scale. Under such a model, not only could our dark matter candidate be reconciled, but neutrino oscillations could also be explained. Finally, baryogenesis, the description of why there was slightly more matter than antimatter in the early universe, could also find an explanation in such a theory. This would resolve one of the largest puzzles in Physics; the Standard Model predicts nearly equivalent amounts of particles and antiparticles in the early universe which should have annihilated to leave nothing but radiation, rather than the rich and exciting universe we inhabit today. On the experimental side, there are a few proposed experiments to try and measure the X-ray signal more carefully to determine its shape and compare it with the prediction of such models, such as flying rockets around with calorimeters inside to try and pick up the signal by observing a broader section of the sky than XMM or Chandra did. With the experts’ opinions divided and further research yet to be done, it would be facetious to end this article with any sort of comment on whether the signal can or will gather the support of the community and become verified as a full blown dark matter signal. At time of writing, a paper has been released claiming signal is better explained as an emission from the plasmas found in galactic nuclei. 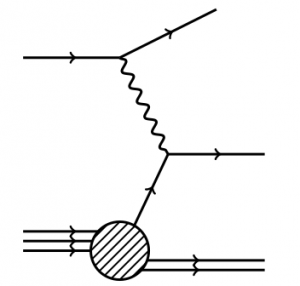 A further preprint to MNRAS, put on arXiv just days ago, claims the sterile neutrino hypothesis is incompatible with the signal but that axions (a dark matter model that supposes a totally different type of particle outside of the Standard Model) remain as a candidate to explain the signal. 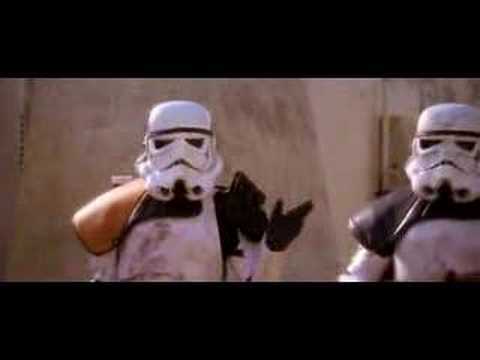 Perhaps sterile neutrinos, are not the particles we’re looking for. This kind of endeavour is just one of the hundreds of ways particle physicists and our colleagues in Astrophysics are looking to find evidence of new, fundamental physics. The appeal for me, as someone whose work will probably only have relevance to huge, Earth-bound experiments like the Large Hadron Collider, is the crossover between modelling the birth of colossal objects like galaxies and theories of subatomic particle production, using comparison between the two for consistency. Regardless of whether future rocket-based experiments can gather enough data to fully validate the signal in terms of theories produced by physicists here on Earth, it is a perfect example of breadth of activity physicists are engaged in, attempting to answer the big questions such as the nature of dark matter, through our research. Kind regards to Piotr Oleśkiewicz (Durham University) for bringing this topic to my attention and for his insights on cosmology, and to Luke Batten (University College London) for a few corrections. *The oft-quoted fact about neutrinos is that 65 billion solar neutrinos pass through just one square centimetre of area on earth every single second. The vast majority of these neutrinos will whizz straight through you without ever having noticed you were there, but by chance, in your entire lifetime, it’s likely that at least one or two will have the courtesy to notice you and bump off one of your atoms. The other interesting fact is that due to the decay of potassium in your bones, you actually emit about three hundred neutrinos a second.